Du hate manu oder paplo? Who is HOTTER? Benja oder Feli? where can Du go here in the philippines?? 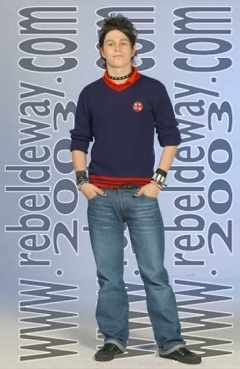 I am Schreiben this Artikel for one reason;i Liebe erreway and i will never permitt anyone to say bad things for them.I know that everyone can make his choise,rbd Fan have choised rbd but this doesn't mean that they have to insult erreway oder their fans.Everyone who want can leave a Kommentar here to say which group is better.This is not a fight just a place where everyone can say everything he likes.Rbd Fan are welcome but to leave a Kommentar not to insult ok? a pop quiz question Wurde hinzugefügt: Who were the first members of erreway? a comment was made to the poll: Do Du h8 Marizza? a comment was made to the poll: Which couple do Du like most? What is the surname of Rocco?